Naval Architecture covers a wide range of subjects associated with ships and offshore structures. The final goal of naval architecture lies in the design and production of the most reliable and cost-effective transport system and offshore structures which can carry out missions successfully in harsh environments. 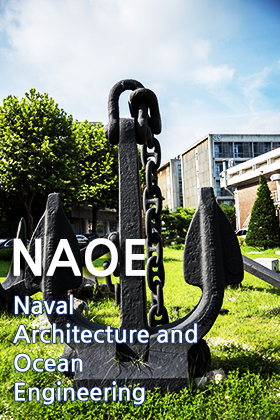 By developing basic theories concerning all the branches of naval architecture and ocean engineering, this department aims at enhancing the superiority in the sense of educations, research and public service as an essential function of the university. The field of Naval Architecture is directed towards the design, production, and operation of all types of ships; cruisers, FPSO, fast ferries, Liquefied Natural Gas(LNG) Carriers, etc. Ocean Engineering specially deals with the design, construction, and operation of all types of marine structures; from oil platforms to very large floating structures, like man-made floating islands. Welcome to Seoul National University, Korea’s first national university and the indisputable leader of higher education in Korea. 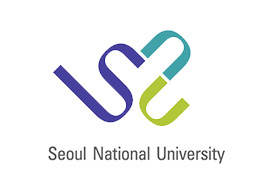 Established in 1946 as the first national university in Korea, Seoul National University has produced leaders in every sector of Korean society, ranging from business and politics to science, technology and the arts. In teaching, research and public service, Seoul National University continues to set the standard of excellence. The mission of Seoul National University in the twenty-first century is to create a vibrant intellectual community where students and scholars from all over the world join together in building the future. The College of Engineering at SNU is recognized globally for its technological innovations and has been making rapid progress toward becoming one of the world’s best engineering schools. The College is committed to preparing students to become exceptional global leaders who can promote the values of a civil and sustainable society and conduct outstanding research to serve the people of Korea and the world. The College of Engineering is composed of 11 departments, 12 research institutes, and 15 research centers. All departments emphasize creativity, engineering fundamentals, and business skills through comprehensive curricula. In addition, the College offers 3 interdisciplinary graduate programs which bridge multiple disciplines and allow learning to occur across traditional academic boundaries. The research institutes focus on theory and practical applications of research findings while the research centers primarily contribute to the development of industry. 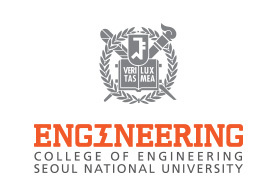 The College of Engineering at SNU offers a broad range of opportunities for intellectual growth through comprehensive and diverse course offerings, rigorous research-oriented graduate programs, exchanges and collaborations with international researchers and institutions, and close work with industry.